producers on the western edge of the department of Jalapa, in eastern Guatemala. Six are from the municipality of Mataquescuintla (where, legend has it, a donkey made of gold — yet to be unearthed — is buried on the highest hill) and one is San Pedro Pinula. Their coffees were grown between 1,500 and 1,750 meters ASL, washed, fermented between 18 and 24 hours, and dried on cement patios and in Guardiola dryers. 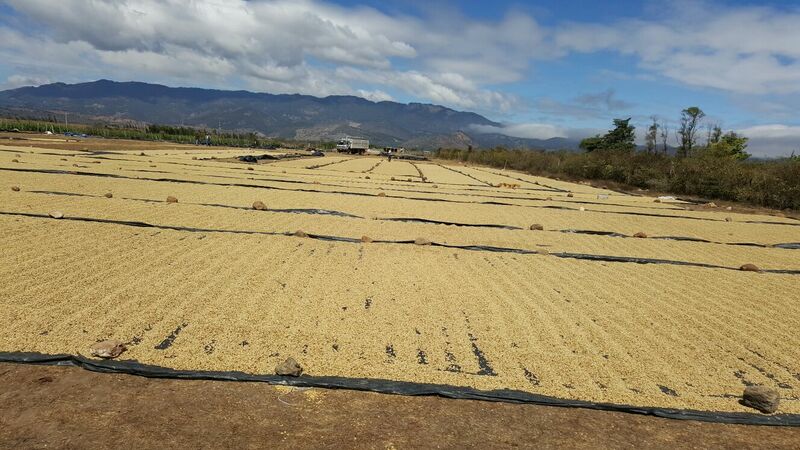 After being processed by the producers below, they were milled at: the Guadalupe, El Pescadito, Agua Tibia, El Colorado, El Copante, El Cañon and El Chorro mills and then delivered in parchment to the RCMA dry mill. RCMA has worked closely with these producers, sending agronomists to offer advice, providing guidance on environmental measures and helping them to meet the standards for various certifications. Victoriano Lemus Gonzáles, in the municipality of Mataquescuintla, is 44 years old and the third generation of his family to work their farm. The rich, moist soil on his land is attributed to composted vegetable and organic matter and disintegrated volcanic rocks. 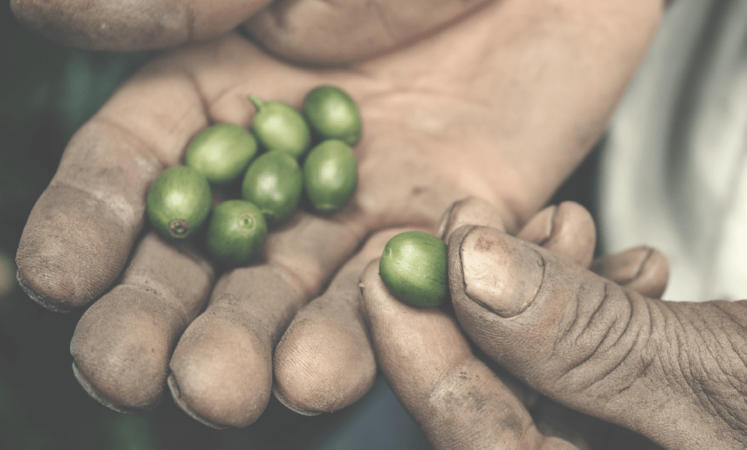 The Lemus family cultivates Pache Colis, Caturra, Catimores, Anacafe 14 and Costa Rica 90 varieties and employs 32 workers, all of whom are committed to environmental practices, including protecting local trees and keeping the river clean. The family also owns a coffee mill and follows traditional wet-milling practices. Carlos Luis Donado Pimentel, a 48-year-old producer in San Pedro Pinula, Jalapa, inherited his farm, El Carrizalito, from his parents, Yolanda Pimentel and Carlos Toledo. Carlos Donado senior was known as a pioneer with a kind heart and would buy coffee from plot owners in the area and mill it on his small mill with the help of 30 workers. His son has continued his traditions and today the farm—now more than 100 acres—processes 1,000 kilos a day. Don Carlos grows Costa Rica Mejorado (a Catuai variety), Caturra, Green Blue and Caticic o Tequicique. The farm has an Utz certification and is working toward a Rainforest Alliance certification. The farm uses river water to process coffees and has implemented water-recycling practices to keep the river clean. Drying parchment on the coffee farm of Carlos L. Donado, for Santa Rosa Los Alamos coffee. Francisco Morales Carías, a 52-year-old producer in Mataquescuintla, reportedly got his start in coffee 30 years ago, with just a scale, 100 sacks of coffee to sell and a notebook for keeping track of sales. 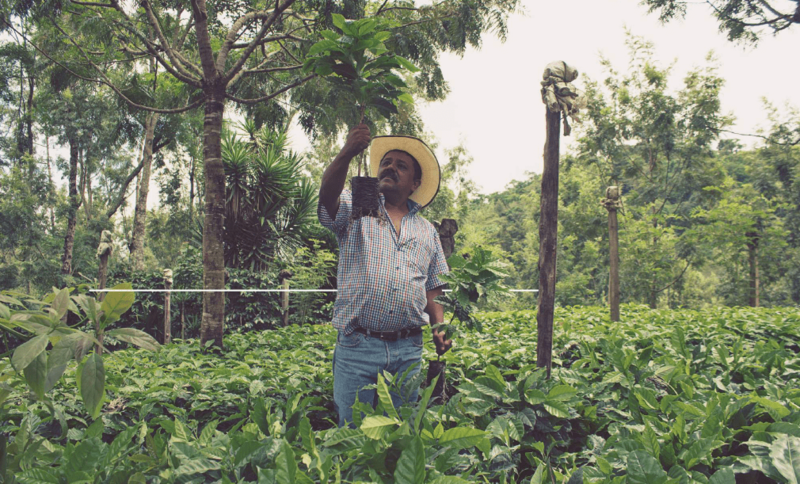 Today, he produces coffee on his 25-acre farm, Agua Tibia. Originally, he grew only Arábigo, Typica and Bourbon, but now Pache San Ramon is preferred, and the area is seeing the introduction of Caturra, Sarchimor, Costa Rica 95 and Marsellesa. Coffee is cultivated from May through September and harvested from December through March. 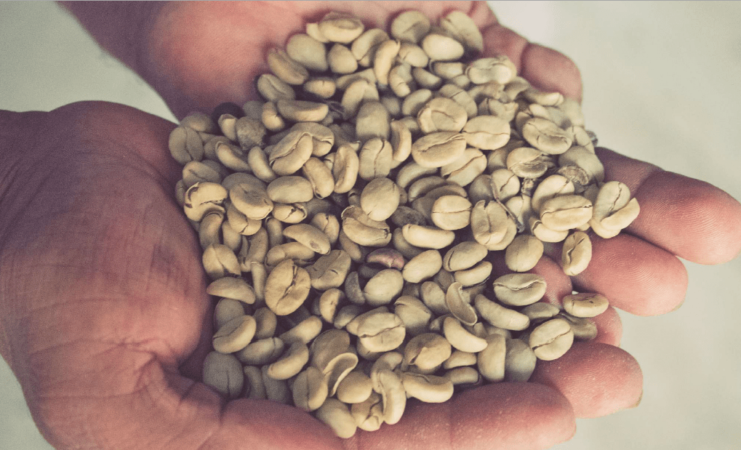 Don Francisco believes the climate is a key aspect of the region, but that the quality of his coffees comes thanks to his careful milling processes and finding the “the coffee point”—where humidity is between 10 and 11 percent. The farm has begun processes to become Rainforest Alliance, Utz and 4C certified. Isaías Morales, also in Mataquescuintla, is the 38-year-old owner of San Antonio Las Flores, a farm his grandfather began farming in the 1950s. It is Isaías’ dream for his oldest daughter to become the family’s fourth generation to cultivate coffee. Las Flores stretches between 1,600 and 1,900 meters above sea level, along the El Granadillo River. 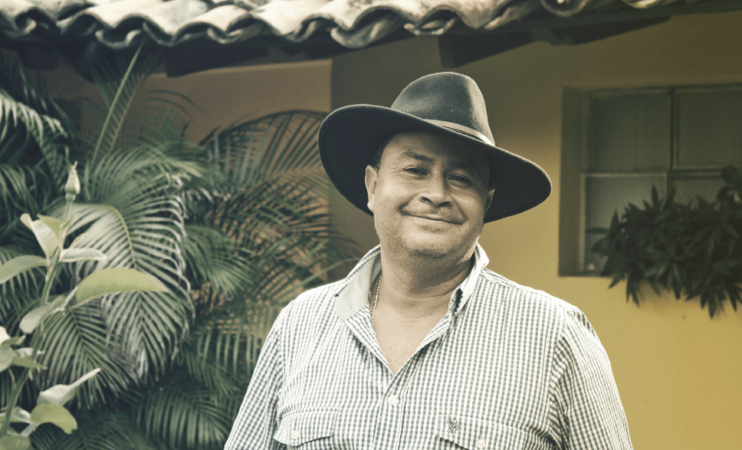 Don Isaías also supports neighboring producers by buying their coffees and processing it with his own. In the area, Pache Coli, Catuai and Caturra are grown, and Don Isaías believes “everything has to be just right,” regarding fermentation, washing, drying and finally the selection of coffees. He also believes that happy, successful workers produce the best coffee, and he supports his workers and their families with medicine and doctor visits, as well as incentives for good work that include trips. Workers also contribute to the health of the farm with practices that keep the water clean and pollution free. Hugo Villagrán Junior’s farm is in western Mataquescuintla, up a rough road through wooded mountains. When he inherited it, he decided to build a coffee mill to improve his family’s prospects. His children, who grew up running between the trees, today help him run the farm and grow a legacy they’ll someday inherit. Coffee is harvested from December through March, and the farm now produces between 2,000 and 3,000 quintales of coffee per season. Pache San Ramon, Caticic, Costa Rica 95 and Marsellesa are grown, but the preferred variety on the farm is Yellow Caturra for its sweet taste. Environmental preservation practices, such as water circulation and reforestation, are practiced on the farm, and workers are provided with protective equipment. The farm expects to soon receive Utz, 4C and Rainforest Alliance certifications. 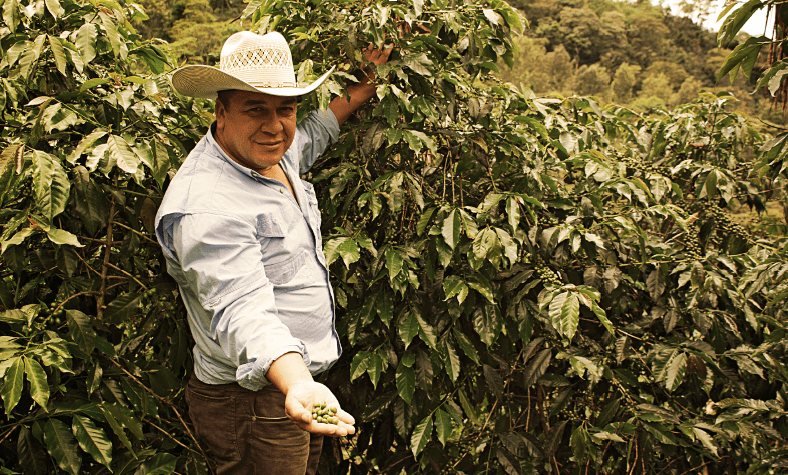 Marvin Geovani Carias Donis owns the Ixpacagua farm and coffee mill with his brother, Yuri Carias. They start each day by inviting their workers to a fresh cup of coffee—and with the ambition of processing 25,000 quintales of coffee each season. The brothers feel passionately that two things are most important to high-quality coffee: altitude (their farm is between 1,700 and 1,900 masl) and good seed selection. They grow Catuai, Pache San Ramon and Arabic. They’re also grateful for the region’s cold climate, which allows the fruit to grow slowly and acquire more juice. In addition to their morning coffee, Don Marvin and Don Yuri also share breakfast, lunch and dinner with their workers, believing that they’re all one team with a great common purpose. Catalino Aguilar Cordero, on his coffee farm.